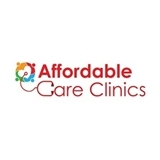 Affordable Care Clinics (Orlando) - Book Appointment Online! Primary Care Walk in Clinic. We specialize in Anti-Addiction, Medical Aesthetics, Weight loss, and Corporate Medicine. Front Desk Agent was amazing! She handled everything very well and professionally. Keep her!